In this interview, Justin Willman and I talk about his career in magic and TV and cover a great deal of topics like how he’s gotten TV appearances, performing magic for a TV audience, and some business and marketing tips he’s used to help him get where he is today. 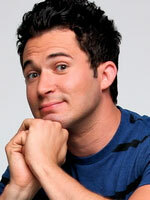 Justin Willman is a magician, actor, comedian, TV host, and all around fun guy. He’s been a regular guest on TV shows like The Tonight Show, Ellen, Rachael Ray, and Chelsea Lately as well as hosting the Food Network’s Cupcake Wars and Disney Channel’s Win, Loose, or Draw. You may have also seen him on such shows as Gilmore Girls and Disney’s the Suite Life on Deck. In addition to all this, he’s been touring his comedy and magic show “Tricked Out” around the country to great success and acclaim. With all this going on, I’m amazed that he was able to find time to talk to me for this interview. Success is walking from failure to failure with no loss of enthusiasm. — Winston Churchill. Justin tells us how he tried to pitch a magic reality TV show idea with a friend and how nobody liked it. He learned all about how to pitch a show. The Boston kid show market. This was his first venture into creating a successful business where he was actually turning shows down because he was booked. Relinquishing control of his booking. not micromanaging. You have to trust the people that you hire to work for you. Creating a brand and having a mentor. Justin tells us about a show he does every year out of tradition and how it ultimately caused him to get heckled by The First Lady while performing a Halloween show at the White House. • Likability. When people like you, they book you. • Pitching ideas for TV shows. • Magic Meltdown web series. • Tells us about a pilot he’s working on right now with Comedy Central called Sleight of Mouth. • How he created the Justin Kredible brand. • How he morphed his kid shows into something that would work for colleges. • Looking at your competition’s marketing efforts and doing something vastly different to stand out. • Having an assistant to answer your phone and an agent to help with booking shows. • How he got on talk shows like Rachael Ray and Ellen as a guest. • Performing magic for a TV audience. • Working with a publicist. • Making the people who hired you look great. Voice memo app on his iPhone that he uses to record his shows. Where can we find Justin Willman?